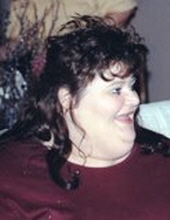 Melody Nann Gilliam Gibson, age 53, passed peacefully from this earthly life at her residence Sunday, September 23, 2018. She worked at Mt. Comprehensive Care, supporting handicap individuals. She was a beauty school instructor and held a degree in Medical Billing. She was a member of the First Baptist Church of Pikeville. Melody affected the lives of many through her loving care. She was born in Wyandotte, Michigan on February 9, 1965 the daughter of J.B. andd Nancy Elizabeth McReynolds Gilliam. Along with her parents, she is survived by her husband, Shannon Lee Gibson, and two daughters, Natasha Leann Gibson of Pikeville, Ky. and Jessica Young of Roanoke, Virginia. She is also survived by two brothers, Michael Shane (Michelle) Gilliam of Nicholasville, KY. and Eric Matthew (Joy) Gilliam of Clearwater, Florida. And three grandchildren, Dillion Young, Lydia Young and Karria King. To send flowers or a remembrance gift to the family of Melody Nann Gilliam Gibson, please visit our Tribute Store. "Email Address" would like to share the life celebration of Melody Nann Gilliam Gibson. Click on the "link" to go to share a favorite memory or leave a condolence message for the family.